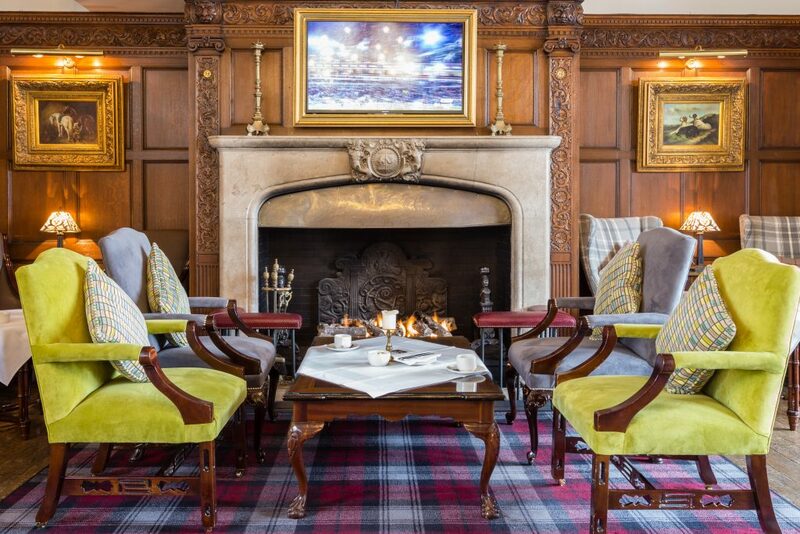 The delightful Lounge Bar at Greenwoods Hotel & Spa provides a warm, cosy atmosphere with an inviting fireplace and sumptuous armchairs. Open to both residents and non-residents of the hotel and leading on to the extended terrace the Lounge is an ideal place to socialise and relax. If you are looking for afternoon tea in Essex, why not indulge in our popular Afternoon Tea package or alternatively treat yourself to a light meal or snack? Guests may reserve a table in our Lounge bar for afternoon tea only. Please call +44 1277 829990 to make a booking. Should you wish to order food from our Lounge menu you do not need to book however tables are subject to availability. The Lounge Bar, with its stunning chandeliers and décor, also provides a great venue to catch up with friends in the evening with an extensive choice of spirits, champagnes and wine. A selection of Daily Specials are also available. You can call us anytime to make a reservation for Afternoon tea in the Lounge Bar or lunch or dinner in Ellis’s Restaurant.